Bismarck (Gov Burgum’s Office) North Dakota Governor, Doug Burgum Wednesday signed legislation that will provide $250 million to help cities, counties and townships in non-oil producing counties pay for infrastructure needs, urging local leaders to invest the dollars in existing infrastructure areas to limit the growth of property taxes and create healthy, vibrant communities. and 46-0 in the Senate. 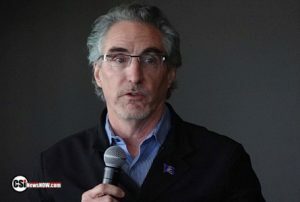 enhancing the quality of life for all North Dakotans, Burgum said. airport infrastructure; and communications infrastructure. city designation that directs additional oil tax revenue to Dickinson, Minot and Williston.